Will EU Drop Caspian Pipedream? The only real answer to Europe’s dependence on Russian natural gas lies in Central Asia. Will it follow through? Despite widespread talk about “revolutions” in liquefied natural gas technology and shale gas extraction, very little has been done to reduce Russia’s stranglehold on European natural gas markets. About 40 percent of Europe’s natural gas, according to EU figures released last year, continues to be supplied by its neighbor to the east. Russia’s large share of natural gas deliveries to Europe poses significant challenges. Most notably, it gives an increasingly authoritarian Russia substantial leverage over countries that are important U.S. allies. It’s no coincidence that Germany, which is the single largest purchaser of Russian natural gas, remains arguably the strongest skeptic of Georgia’s NATO membership bid. Germany has also strived to block European Union (EU) regulations that restrict the ability of foreign companies to operate energy utilities and distribution components in member states. In response, the Kremlin implicitly threatens to raise gas prices on countries that support such regulations. But Moscow doesn’t have to exert too much effort to remind Europeans about the potential consequences of collective efforts to reduce Russia’s energy influence or other undesirable policies from the Kremlin’s perspective. Europeans remember Russia’s decision to shut off gas deliveries to Ukraine and even its closest ally Belarus on several occasions. Several countries were left in the cold in 2009 when Moscow ceased gas deliveries to Ukraine. Moreover, Russia’s role as Europe’s principal source of natural gas further divides an already divided continent. A schism exists between Russia’s “strategic partners” – large EU member states like Germany, France and Italy – and more recent EU entrants that some call the “new cold warriors,” such as Poland and smaller countries in Eastern Europe like the Baltic states. The latter group is particularly worried about the effects of the Nord Stream pipeline, which came online several months ago and carries Russian gas under the Baltic Sea directly to Germany. It allows Moscow to bypass transit countries in Eastern Europe and leaves them vulnerable to Russian energy coercion. Essentially, the construction of Nord Stream has chipped away at the notion of a mutual, buyer-seller dependence between Russia and Europe that the Kremlin dare not disrupt. With Nord Stream, Russia can shut off natural gas to Poland and other transit states but still continue to reap critical revenues from its gas deliveries to Germany. Prior to Nord Stream, simultaneous gas disputes with Ukraine and Belarus would prevent all Russian gas deliveries to Europe, which would have resulted in financial catastrophe for Russia and was therefore difficult to imagine. Now, Moscow can implement gas cut offs to countries in Eastern Europe that often challenge the Kremlin for its authoritarianism at home and its efforts to impede democratization on Russia’s periphery. The only realistic answer to Europe’s dependence on Russian natural gas lies in Central Asia and the Caspian Sea region. Despite progress in the development of the overall industry, liquefied natural gas is expensive and requires substantial investments in processing and delivery infrastructure. And, even with Europe’s sizeable reserves, shale gas exploration won’t experience the same success that it did in the U.S. The geological challenges associated with deeper reservoirs and environmental concerns about “fracking” have delayed or halted shale gas initiatives in a number of European countries. In 2002, several European energy companies signed a cooperation agreement to construct the 2,500-mile Nabucco pipeline, which would carry 31 billion cubic meters (bcm) of natural gas from Turkey to Austria via Bulgaria, Romania, and Hungary. The idea was to fill the pipeline with non-Russian gas from Caspian Sea countries, including Turkmenistan, which potentially holds the world’s third largest natural gas reserves. But the chief problem with Nabucco has been the unavailability in sufficient amounts of the product that it seeks to transport – non-Russian natural gas – which makes the project commercially unviable. The hope back in 2002 was that this problem would work itself out by the time construction began several years later. It hasn’t. The most obvious source to fill the pipeline, Turkmenistan, would be unable to play that role even if Nabucco existed today. To send gas from Turkmenistan and other Central Asian countries to Europe by means of Nabucco would require the construction of another pipeline called the Trans-Caspian Pipeline (TCP) from Turkmenistan to Azerbaijan. For this to happen, however, Turkmenistan and Azerbaijan would have to settle their Caspian Sea border dispute and the companies involved in the project would have to ignore Russia and Iran’s shared position that such ventures require the consent of all five littoral states. Although real differences exist between all the littoral countries, Moscow in particular uses the absence of a Caspian Sea treaty to challenge the legality of the proposed TCP. Some Russian politicians have even threatened to use force against Turkmenistan in a “Libya scenario” if Ashgabat moves forward with the pipeline. Iran has even larger natural gas reserves than Turkmenistan – second in the world only to Russia – but is excluded from Nabucco due to its nuclear program and broader tensions with the West. Despite its own substantial reserves and readiness to participate in the project, Iraq remains an unlikely supplier because political turmoil in the country stymies the development of gas fields and transportation infrastructure. The EU’s “Southern Corridor” initiative to tap Caspian Sea energy reserves was virtually stagnant until a few months ago. Last December an impatient Azerbaijan and Turkey signed a protocol to construct the Trans-Anatolian Pipeline (TANAP) that will transport natural gas from the second phase of the Shah Deniz gas field in Azerbaijan. 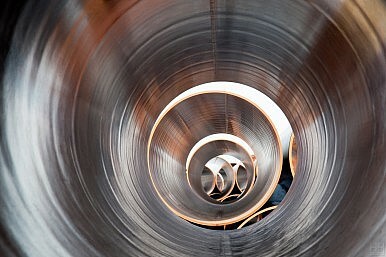 The 16 bcm pipeline will run from the Georgian-Turkish border to the Turkish European border at a cost of $5-7 billion. This leaves almost no gas available for Nabucco. The decision to construct TANAP signals the formal death of a project that was chronically ill from the start. Even members of the Nabucco consortium seem to be aware of this. Hungary’s MOL revealed in April that it is prepared to sell its stake in Nabucco and criticized the project’s management. Germany’s RWE, which needs to lower its debt burden in general, has acknowledged “changed circumstances” and backed a downsized version of the pipeline called Nabucco West. There are also other options. British Petroleum (BP), which leads the consortium that controls Azerbaijan’s Shah Deniz gas field, has rejected outright the larger Nabucco variant and late last year proposed an alternative pipeline called the South East Europe Pipeline (SEEP). The Azeri state oil company, Socar, and BP will decide by the end of June which option to support. Turkey has already backed Nabucco West. Regardless, the fate of the original Nabucco pipeline is evident. It won’t get built. And that is fine provided that a commercially viable alternative, whose capacity corresponds to gas availability, like Nabucco West or SEEP, is constructed in its place. Some have criticized TANAP because it represents the final nail in the coffin of Nabucco. This logic is flawed. Rather than undermine the prospects of large-scale European access to Caspian Sea natural gas, TANAP will create both the conditions and the incentives to develop a series of projects – including TCP – that may ultimately dwarf Nabucco. Daniel Vajdic is a researcher in foreign and defense policy studies at the American Enterprise Institute.